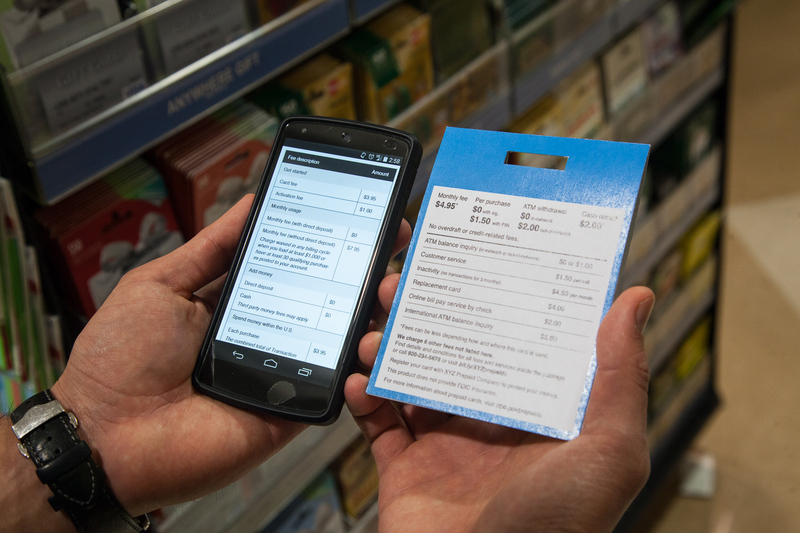 Last March, we asked you to comment on possible prepaid card disclosures. Thanks to your feedback and additional consumer testing, today we’re proposing new disclosure requirements that consumers would receive before deciding to open a prepaid account. These new disclosure requirements are part of our larger prepaid accounts proposal to extend many federal consumer protections to prepaid products. 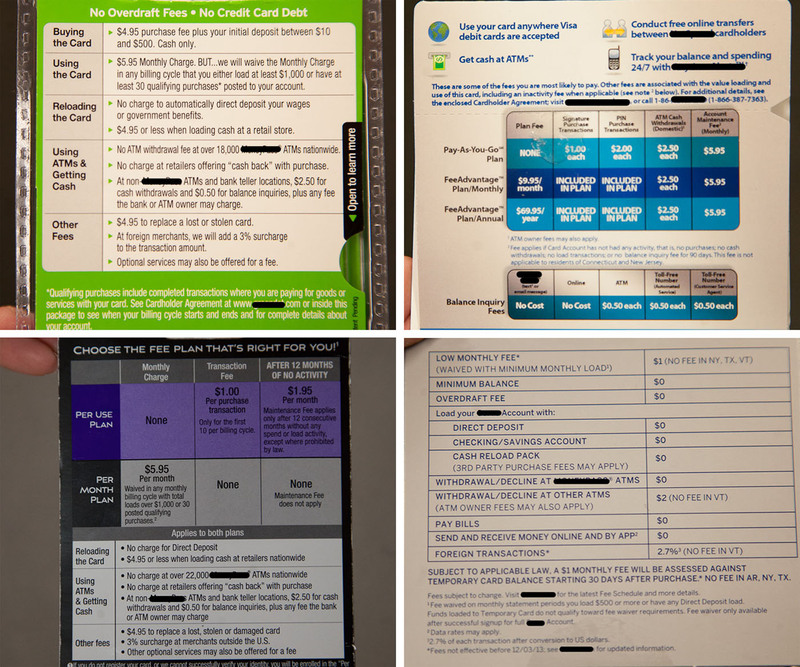 As you can see, each prepaid card varies in style, format, and content. Website disclosures have similar problems. 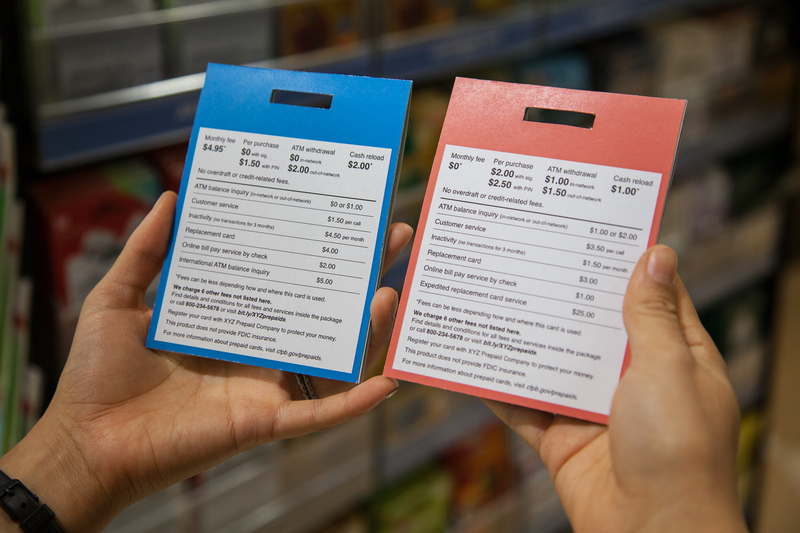 As a result, it’s challenging for consumers to make sense of each product’s cost. We’re proposing to standardize these disclosures with a new requirement: that prepaid companies adopt model disclosure forms so that consumers can make better choices between prepaid options. The disclosures would take two forms: (1) a short form that would highlight key information about the account’s fees and (2) a long form that would list all of the account’s fees. Below is an example of the proposed short form disclosure that you would see in a retail store, which includes a link and a telephone number to access the long form disclosure on a smartphone or mobile device. The short form disclosure lists four types of fees in large and bold font, that we think are most important to many consumers: the monthly fee, ATM withdrawal fees, per purchase fees, and cash reload fees. The design makes it easier for consumers to identify the best prepaid account for their needs. For consumers that aren’t shopping for a prepaid account at a retail store or by phone, we’re proposing that they receive the short and long form disclosure before getting the account. Now, we want to hear from you! Take a look, and tell us if you think this model form does a better job of disclosing fee information compared to other forms you’ve seen on prepaid card packaging. We’re eager to get feedback from consumers, industry, advocacy organizations, and anyone else who is interested in making prepaid account disclosures better. Does the short form disclosure above make it clear how much the account would cost you to use? What would you like to see added or changed? Is there some way to make the information clearer? Is there anything you find confusing? We want to get your feedback so that we can consider it as we develop a final rule. If you want to influence the design of a new prepaid card fee disclosure, let us know what you think. Submit a comment at Regulations.gov. To learn more, check out the preamble, the proposed rule, and the official interpretations. We are no longer accepting comments about this rule.